Careless driving, reckless driving, vehicle defects, poorly designed roadways, and malfunctioning traffic controls all cause devastating accidents. According to the National Highway Traffic Safety Administration, car crashes claim the lives of around 42,000 people each year. In addition to the tragic deaths, car and truck accidents cause millions of serious injuries each year. This means that each day, as a result of car, truck and motorcycle accidents, parents lose children, spouses lose their companions, and individuals lose the lives they had as able-bodied people. After the trauma of an auto accident, victims and their loved ones face a complicated legal terrain and are often met with resistance when seeking full compensation from their own insurers and from the insurers of those who were responsible for the accidents. Dr. Aussprung's extensive experience in negotiating settlements, his talent as a trial lawyer, and his expertise as a physician make him an ideal advocate to lead victims and their families through the legal terrain, fighting hard for just results. 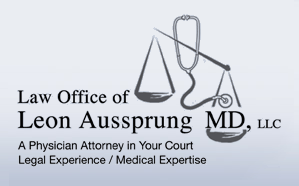 If you or a loved one have been seriously injured or killed in a car or truck accident, contact Dr. Aussprung today.